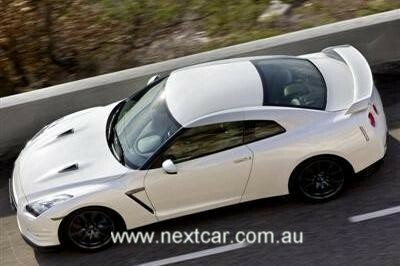 Three years after the new R35 model arrived in Australia, the Nissan GT-R has again raised the super car bar. Acknowledged as a performance benchmark since its global launch in October 2007, the 2011-model R35-series Nissan GT-R offers more power, more downforce, more grip and more excitement than its predecessors. Yet its elevated performance is even more accessible to enthusiast drivers, fulfilling Nissan’s promise of ‘anyone, any time, anywhere’ for its most sporting model. In a major evolution of the model, every aspect of the R35 has been enhanced and improved in its third iteration. As such, it has now realised the personal dream of Chief Vehicle Engineer and Nissan GT-R Chief Product Specialist, Kazutoshi Mizuno. Power from the 3.8 litre twin turbocharged V6 engine has been boosted 33kW to 390 kW, while maximum torque developed from 3,200-6,000 rpm is now 24 Nm more at 612 Nm. Optimising this increased power through the R35’s six-speed dual clutch transmission and permanent four-wheel-drive system by selecting R-Mode and VDC-R allows the 2011 Nissan GT-R to accelerate from 0-100 km/h in around 3.0 seconds. Meanwhile recalibrating the engine’s control module, modifying the exhaust system and fitting a new catalyst have improved both fuel economy and emissions by 3.5 per cent. A series of subtle, but significant chassis changes to the 2011 Nissan GT-R’s chassis, including new lightweight aluminium shock absorbers, have sharpened the model’s already-impressive handling without any sacrifice in riding comfort. Newly developed tyres, lighter wheels and bigger brakes have also enhanced the car’s unique super car driving experience. Subtle exterior revisions have not only given the GT-R a new look, but improved the car’s already class-leading aerodynamic performance. Downforce has improved by about ten per cent while the car’s drag co-efficient has been lowered from 0.27 to just 0.26 Cd – a figure most small economy cars would be proud of. Priced at $168,800*, the 2011 Nissan GT-R stands out from its predecessors with its 14 per cent larger front grille opening, LED daytime running lights and remodeled front bumper, while at the rear the remodeled bumper, with its extended diffuser, new tail-pipe finish and LED fog lamps proclaims the first major revision of the R35 model. Inside, a number of refinements have been made to enhance the sports luxury feel. They include new Recaro-designed seats with heating, new higher-quality finishes for many interior surfaces and softer seat belt material. Nissan’s relentless attention to detail in improving the 2011 Nissan GT-R extends to the doors, which now close with a more satisfying ‘thunk’. At the centre of the latest GT-R is Nissan’s VR38DETT twin turbocharged 3.8-litre V6 engine, which was specially developed for the car. The engine is hand made, with each unit assembled by a single craftsman working in a special ‘clean room’ area of Nissan’s Yokohama plant. Changes for the 2011 version have seen power rise from 357 kW to 390 kW while torque has increased from 588 Nm to 612 Nm. This significant performance increase is celebrated by the engine cover, which is painted red… a respectful nod to one of the car’s forebears, the legendary R34 Skyline GT-R, which also boasted red cam covers. The changes to the engine include modifications to the turbo boost pressure, valve timing and air mixture ratio. The inlet pipes have been enlarged and the exhaust system modified, while a new catalyst using fewer precious metals has been adopted. The result is even higher performance, but without the price penalty. The benchmark 0-100 km/h sprint, for example, has been reduced to around 3.0 seconds. As well as boosting power and torque, the changes have had a beneficial effect on fuel consumption and emissions, both of which have been improved. CO2 emissions have fallen to 279 g/km while the GT-R now returns 12 l/100 km on the combined cycle. As before, the GT-R has a number of different transmission modes: standing start performance can be maximised in ‘R’ mode. When in R mode, full throttle is applied while the car is held on the brakes, which are then released as quickly as possible. The system monitors oil temperatures to ensure reliability isn’t compromised: if temperatures rise above a set level, the system prevents further use of R mode until they have fallen. Although high performance remains key to the GT-R’s appeal, it remains tractable and easy to drive. Peak torque is available seamlessly from 3,200 to 6,000 rpm. It is also a highly efficient engine. A key feature in this respect is an innovative plasma coating just 0.15 mm thick sprayed on to the cylinder bores in place of conventional liners, which are typically 2.6mm thick. This is better at dissipating heat, so boosting both power and economy, and saving about 3 kg in the process. Special synthetic engine oil, Mobil-1 RP OW-40, is used to ensure sufficient lubrication of this sprayed-on cylinder liner. Fully independent and symmetrical intake and exhaust systems increase air intake and reduce exhaust resistance, producing a smooth and fast gas flow to produce a higher output and faster engine responses. Turbo boost pressure is electronically-controlled to ensure the best response and output in all conditions. Precise monitoring of the air-fuel ratio further improves high-performance fuel consumption by five per cent. And the high torque output during ordinary low-rev driving allows for an optimum air-fuel ratio, significantly improving fuel efficiency and exhaust cleanliness. Further reductions in emissions levels are achieved by a secondary air system with an air pump that promotes a faster catalyst reaction. Other technical innovations include a thermostatically controlled, air-cooled engine oil cooler system for greater efficiency. During extreme cornering, a scavenger pump maintains turbocharger oil flow. The oil collecting structure inside the engine is optimised by a lateral wet and dry sump system. Similarly, a collector tank inside the fuel tank always stores enough fuel to maintain fuel flow even under strong g forces. The GR6-type transmission was exclusively developed for the R35 GT-R. The six-speed dual clutch gearbox is highly efficient with minimum power losses, and response and fuel economy are therefore improved compared to a conventional automatic. The driver can either shift gears manually via paddles – now made from magnesium –located behind the steering wheel or opt instead for automatic changes as the mood dictates. Either way, since there is one wet clutch for odd gears and one wet clutch for even gears, the next gear is already preselected which allows for exceptionally fast shifting. There’s also an automatic throttle blip on downshifts to precisely synchronise engine speed and give added driving satisfaction. In manual mode the paddle shift gives exceedingly quick changes, thus maintaining turbo boost, for seamless and powerful acceleration. Borg-Warner triple cone synchronisers are used. While in manual mode, the driver can select a more extreme shifting range: R mode speeds up the GT-R’s already fast shift changes. A computerised control predicts the driver’s next gear change, based on throttle opening, vehicle speed, braking and other information. In automatic mode, changes are made to maximise fuel efficiency. Higher gears are used whenever possible, making full use of the car’s long and flat torque curve. The car can be driven in sixth gear for long periods at low speeds, and still offers good throttle response. Such docile behaviour is at odds with most equivalently fast super cars and is one of the many unique aspects of this technology flagship. 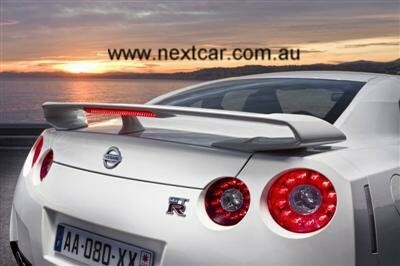 A new transmission mode called SAVE has been developed for the 2011 Nissan GT-R. Designed for everyday use on motorways and ordinary roads rather than for enthusiastic driving, SAVE reduces engine torque and alters the transmission shift points for a more relaxing and economical drive. Hill Start Assist is also provided, momentarily holding the brakes to prevent roll back when starting on an incline as the driver moves to the accelerator pedal. Manoeuvrability at low speeds is further enhanced by the adoption of a two-wheel drive mode. When the steering wheel turned beyond half lock and the speed is less than 10 km/h, drive to the front wheels is temporarily disconnected to ease parking and other low speed manoeuvres. The Nissan GT-R has one of the most advanced four-wheel drive systems ever developed for a production car, offering unmatched traction and handling security. The system features a rear mounted independent transaxle which packages the transmission, transfer case and limited slip rear differential in one compact assembly independently mounted on rubber bushes. Moving the transmission to the rear in this way gives the GT-R a superb weight balance, while enhancing front seat legroom. The design uses special twin driveshafts, one of which (made from a carbon composite) takes the drive from the engine back to the transaxle, the other transferring drive forwards from the transaxle to the front wheels. The four-wheel drive system continually adjusts torque between front and rear based on dynamic demands and road conditions; in normal conditions 100 per cent of torque is directed to the rear axle, with up to 50 per cent of torque fed to the front wheels to improve traction when necessary – in slippery conditions and to improve cornering performance. A variety of sensors feed back data to the system and among the parameters monitored are speed, lateral and transverse acceleration and steering angle. A yaw-rate feedback control measures the difference between the target yaw rate calculated from the steering angle and the actual yaw rate and adjusts front to rear torque accordingly. The four-wheel drive system includes Vehicle Dynamic Control (VDC-R), the Nissan GT-R’s electronic stability control system. 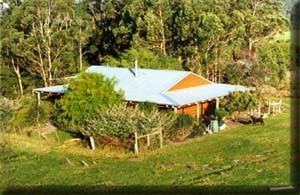 This continually monitors the vehicle’s behaviour. If off balance behaviour is detected – such as sliding or skidding – torque to the wheels will be adjusted to re-establish stability. Electronic traction control is also fitted to rear mechanical limited slip differential, preventing wheel spin and improving grip. The chassis features a double wishbone front and multilink rear suspension offering outstanding straight-line stability at all speeds, plus class-leading handling and braking in all situations – from urban commutes, to snowy and muddy roads, to the racetrack. Even though the original GT-R received high praise for its handling capabilities, Nissan engineers have made further improvements to enhance the car’s grip and responsiveness. At the front, the spring, shock absorber and anti-roll bar have all been modified to improve the vertical load response of the tyre. The front castor angle has been increased from 5º35 to 6º00 to improve straight-line stability and road holding under cornering. At the rear, the roll centre has been lowered to improve the grip of the inside edge of the tyres when cornering. 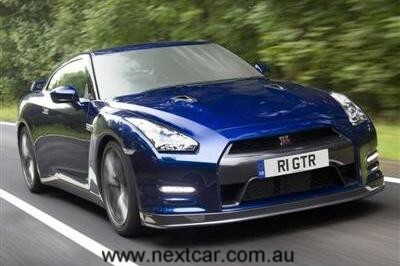 A new lightweight aluminium shock absorber has been developed for the 2011 Nissan GT-R. The piston-free unit generates a more precise damping force to provide constantly stable road-holding at the same time as reacting more quickly to driver inputs. Reduced friction from the assembly also helps boost ride quality. As before, the dampers settings can be adjusted by the driver who can choose either Comfort, Sports (the normal setting and producing the best possible handling/ride balance) or R (high performance) settings. The R mode delivers flat, hard cornering for high-speed and maximum feedback. Sensors measure 11 vehicle elements including speed, lateral acceleration, steering angle and engine, the data then analysed to provide appropriate damping forces for all situations. To enhance their resistance to fade under continued heavy use, the front disc rotors have been increased in diameter by 10 mm to 390 mm. Specially developed by Nissan, the discs are resistance to fade at high temperatures under repeated use from high speeds. The discs front and rear are fully ventilated steel units, and the entire Brembo system gives progressive pedal feel as well as immense stopping power. Fully floating rotors with diamond-shaped ventilated ribs and cross drilling stabilise braking while also preventing heat distortion. Super-rigid Brembo monoblock callipers, six pot at the front and four pot at the rear, feature race car-inspired three-point mountings that help generate strong braking force and prevent calliper distortion, while their double tie-rod structure similarly resists distortion and helps to maintain braking stability under all conditions. Newly designed, lighter and more rigid forged 10-spoke aluminium wheels, made by RAYS, reduce unsprung mass by approximately 3 kg per vehicle and improve the responsiveness of the tyres to vertical loads, increasing ride comfort. Knurling inside the wheel has been modified to eliminate any potential tyre rotation caused by the increased engine output. The wheels are finished in a new colour, Hyper Blue Black Chrome, and have a deep gloss finish made by five-layer coating to underline the car’s quality and performance image. As before, the Nissan GT-R is shod with Dunlop tyres specifically designed for this model. For the 2011 car, however, a new tyre has been developed: Dunlop SP Sport MAXX 600 DSST CTT, which features a new compound to improve grip. The new structure and improved rigidity of the tread and sidewall means straight line stability on poor road surfaces is greatly enhanced. Also as before, they are filled with nitrogen rather than conventional air, which prevents pressure change during high speed driving. To achieve the project’s ambitious targets for high-speed stability, ride comfort and safety, Nissan has employed a variety of materials and advanced assembly methods to make the GT-R.
Extensive use is made of lightweight materials including aluminium for the bonnet, boot and outer door panels. Carbon fibre is used for the front end of the body structure, including the radiator support, the front of the engine bay and the rear aerodynamic diffuser undertray. Special fibreglass used for the engine undertray helps give the Nissan GT-R a virtually flat underside, further benefiting aerodynamic efficiency. The door inners are made from die-cast aluminium, giving superb side impact safety protection. Light and very strong die-cast aluminium is also used for the front suspension strut housings while a new feature for the 2011 GT-R is a rigid and lightweight strut supporting bar. Made from a carbon composite with an aluminium honeycomb, the bar is installed in the partition wall of the engine compartment. By linking left and right struts in this way, the responsiveness of the body to changes of direction is greatly enhanced. An additional support member has been installed on the passenger side of the dash panel. This increased rigidity also helps sharpen the car’s responses to steering input. Muscular, ground hugging and wide shouldered, the GT-R has an undoubtedly strong presence and Japanese car culture and video games have been key design influences. Even better aerodynamics were a key requirement for the 2011 Nissan GT-R and detail changes have reduced the drag coefficient by 0.1 Cd to an exceptional 0.26 Cd. The front bumper has been redesigned, featuring double rectifier fins which increase front downforce by around 10 per cent. At the same time, this reduces air resistance inside the engine compartment and also increases the airflow through a radiator that cools the front brakes. Each side incorporates an LED daytime running light fitted with a large-diameter reflecting surface emitting a high-intensity white light. A new rear bumper with a lower centre of gravity has been designed and features a sculptured lower part with an extended rear end. By extending the rear diffuser, underfloor cooling performance is enhanced, with reduced air resistance. Cooling performance for the rear exhaust silencer is also improved, while by introducing a rear bumper air outlet, which removes air in the rear wheel housing, rear downforce is also increased by about 10 per cent. Other visual changes include the four tailpipe finishers, which have been enlarged, while a high intensity LED rear fog lamp is now incorporated within the extended rear diffuser. There are six exterior colours, including two new shades: Metallic Black (replacing solid Kuro Black) and Daytona Blue (replacing Titanium Grey). Nissan suggests the driving experience of the Nissan GT-R has been enhanced with a number of refinements for 2011 that together give the cockpit a more elegant look and luxurious feel, along with enhanced sporting ambiance. Combined they give the Nissan GT-R a special ‘sense of occasion’ yet it remains a very ‘normal’ car in many ways – roomy, comfortable and airy. A higher-quality look is achieved by the adoption of new shapes with a less angular feel for the finisher and pads surrounding the navigation monitor. 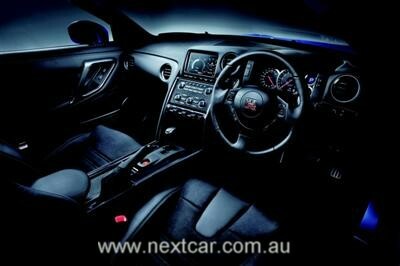 The leather sports seats fitted to the latest Australian Nissan GT-Rs now feature a German Recaro design. The heating area of the GT-R’s standard Seat Heater has been expanded to increase winter driving comfort, while the switch has been moved to a more convenient location. The stitch pattern lines on the dash pad have also been changed, giving the surface a richer texture. The centre console now features a finishing panel made from real carbon material made through the hot press production method. As the surfaces of the carbon parts used in the interior are not coated, they allow the occupants to experience the unique texture of the carbon material. All switches have an integrated design of matt black. Chrome-plated rings in the console and air conditioner outlets now have a sporty smoked black finish, bringing out the ‘blackness’ of the interior fittings for an even sportier look. The seatbelt material has been made softer to reduce ‘pilling’ on users’ clothes. At the same time, the strength of the tension on the belts has been adjusted to give a better ‘tailored’ feel on the body, and the sense of pressure has been reduced. The twin rear seats, accessed using the entry/exit switch on the front seats, are better suited to children or for carrying bags and jackets, although they are suitable for adults on short journeys. The boot provides a 315 litre (VDA) capacity, easily big enough for two sets of golf bags or for substantial holiday luggage, emphasising the GT-R’s everyday usability. The distinctive ‘GT-R’ emblem on the boss of the small, hand-stiched leather multi-function steering wheel now has a velour-like coating, which gives glossy, quality feel. This emblem is an example of “maki-e,” which is a decoration technique of the lacquer-ware trade that is a traditional Japanese craft. A magnesium painting finish is now applied on the gearshift paddles. The GT-R’s multi-functional 7-inch touch-screen LCD instrument display in the upper centre console is positioned at the same height as the main instrument cluster for ease of viewing. This enables the driver to view a wide range of vehicle telemetry. The high-resolution screen with newly developed WVGA (wide video graphics array) high resolution display is a liquid crystal monitor that has four times the number of pixels of a conventional satellite navigation screen. The GT-R is equipped with Nissan’s ‘Premium Connect’ combined audio and navigation system, offering improved ease-of-operation as well as new and updated features. At its heart is a Hard Disc Drive (HDD) navigation system with 40GB of memory space. This makes for faster operation and greater data storage capacity. Another benefit of the HDD information and entertainment system is the incorporation of a 9.3GB Music Box library that can store music from up to 300 CDs. 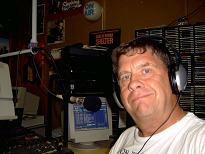 The download takes place automatically when a CD is inserted into the CD player, if selected. But for those wanting a wider music selection at their fingertips, the system also allows iPod/USB connection with full control via the screen and/or steering wheel switches. In addition, song, artist and album information is displayed on the screen. Other audio devices can be played via the unit’s Bluetooth Audio Streaming function. In search of perfection, Nissan engineers have modified the door seals of the latest GT-R to give a higher-quality feel to the door’s closing sound, while further reducing wind noise of the vehicle when driving at high speeds. Additional trim mounting points are designed to eliminate squeaking. And in a further practical refinement, the boot can now be easily opened and closed without users soiling their hands when the lid becomes dirty from rain or mud. The combination of all these evolutionary refinements will see the 2011 Nissan GT-R re-write the super car rulebook, yet again.